Today we are going to share with you a little about what you may experience during your free class. Although, we won’t cover everything, but it will give you a bit of an idea. 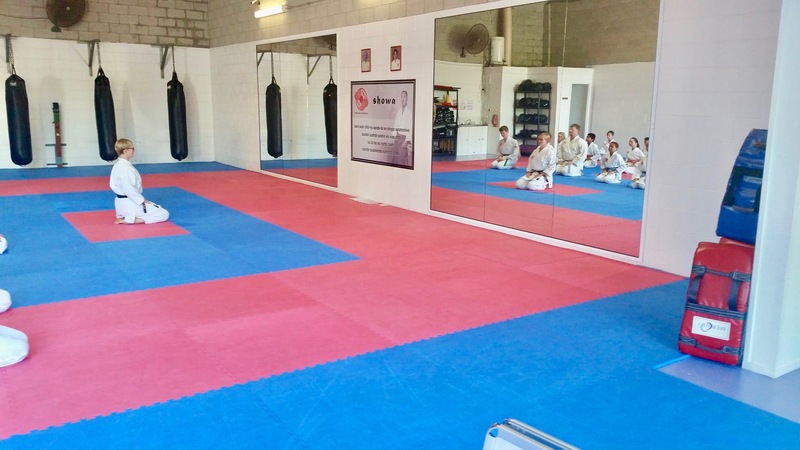 The picture to the left is the entrance to the main training area at Sunshine Coast Karate. For some, these stairs are the most frightening part of their walk as they enter the training area. 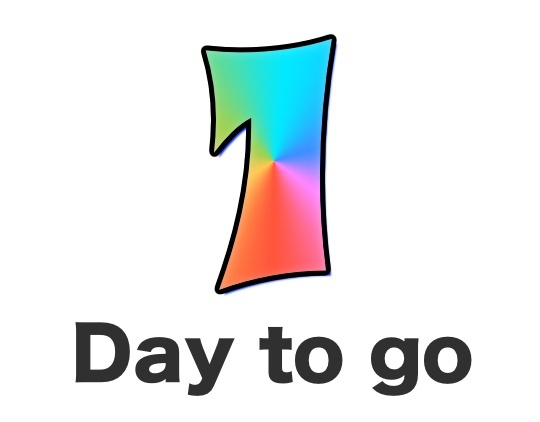 For others, it’s a piece of cake and quite exciting. If it’s all a bit scary, take a breathe with each step. If it’s all a bit exciting, take a breathe with each step. You may be thinking, why the same advice for both? Quality breathing practice will help you find “balance” and harmony within yourself. It will help you enter a more optimal learning state and it will help you do the things that you know you really “should” do and not allow yourself to be overcome by fear and self doubt. There are times when we need to cultivate and lift our energy, and there are times when we need to “calm” ourselves. By deliberately breathing and allowing ourselves to feel and hear each breathe, with practice, we can alter our state relatively quickly. At the top of the stairs, you’ll notice an A frame sign. I’ve taken a photo of it for you so you can read what it says (see below). Students will kneel down in a position known as “Seiza” and they will simply take a moment for themselves to slow down and once again pay attention to their breathing. 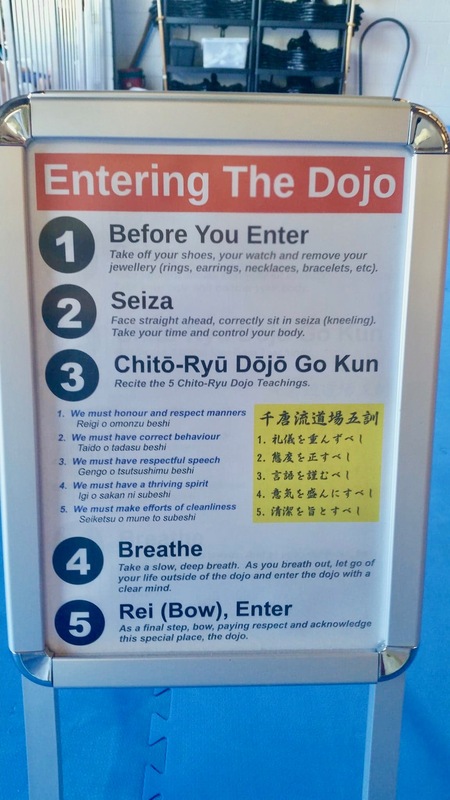 On the A frame poster there are 5 easy to follow steps for you to ponder on entering and leaving the dojo. 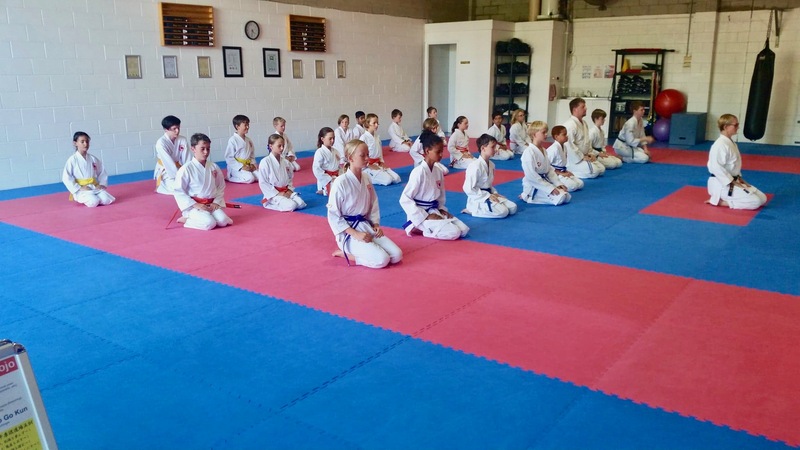 Once you have taken a moment for yourself, you’ll notice students doing a meaningful bow before standing up and moving into the dojo. 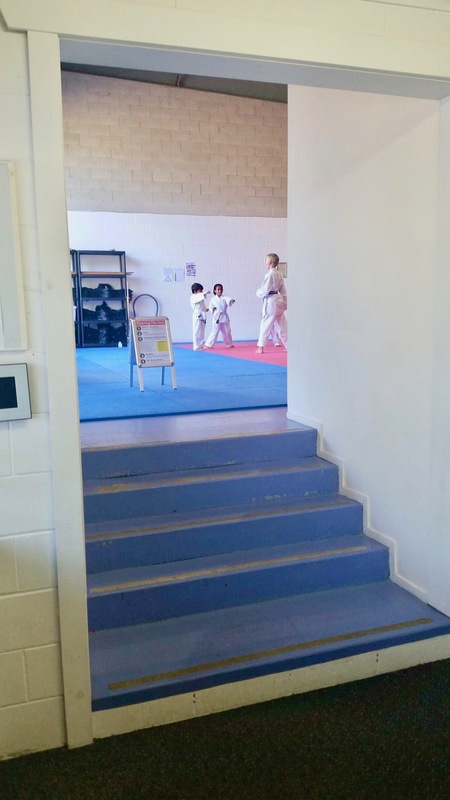 It’s not uncommon to see students bow towards the front of the dojo and in the direction of the instructor before moving into the training space. 2. You are in the dojo. What will you see? 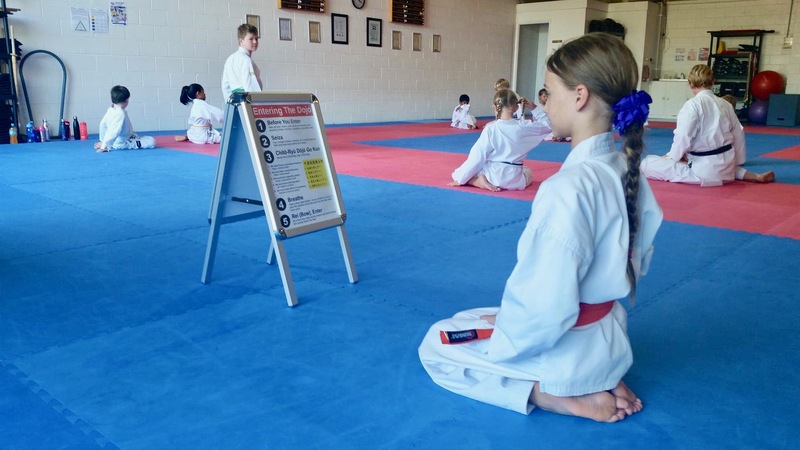 Although we are unsure of how many people will be in attendance on the Sign on Day, we can give you a look at what the Sunshine Coast Karate training area looks like during one of our weekly karate kids classes. There is a toilet and shower facility in the back corner of the dojo for students to use and a tap on the far side that you can refill your water bottles. There is a good chance that you are going to see and do a lot of bowing, both seated and standing. Our teaching team will do their best to support you, but if our team are occupied helping others, whilst you wait, see if you can follow along with a senior belt. Senior students are usually positioned in the front line. Two Japanese words you will hear often which express respect to others are as follows. Students refer to the instructors as “Sensei” and senior students as “Senpai”. If you need to capture the attention of instructors (you may need an additional water break etc), you can put your hand up or if you have a leader close by you can ask them for help. After instructors have given instructions, if students understand what has been explained, you’ll often hear the students respond with “hai”. When students line up at various times throughout the class, you’ll notice how students line up in order of level. 4. What’s with all the yelling? Throughout your study of karate, you’ll be encouraged to develop your kiai, which is a short, sharp yell. Without going too much into what a “Kiai” is, it’s good to be aware that you will hear some shouts at various times of the class. In the beginning you may choose to observe, but in time you’ll soon appreciate the power of developing Kiai as a part of your training. 5. What are they saying? It’s not uncommon to not understand all of what is being said in the dojo from day one, unless you have experience and knowledge of the Japanese language. You’ll hear a lot of counting from 1 to 10 in Japanese plus various one word commands. We aim to use a mix of both English and Japanese in the dojo. Be patient with all of us as we continue to polish our Japanese skills and of course be patient with yourself as you develop your skills. It’s good to know that the training area is not air conditioned and can get a little warm. Instructors will vary the teaching program accordingly, but it is also recommended that you stay well hydrated before, during and after classes. Always have water with you and a hand towel is useful. 7. Will everyone be looking at you? One thing that is important to realise is that many people getting started, worry about what others are doing, and what others might be thinking of them. Once you are on the floor, you will soon realise that everyone is just doing the best they can to grow themselves. The only time you may experience people looking at you, is when we have asked our teaching team or students to assist you. 8. Will I be training with people my own level? Yes, you will have time to train with people at your own level, and you will have time to train with more senior ranking students. There is so much that we can learn from everyone, so we aim to give students the opportunity to come together and learn from each other. Instructors may give you a technique or a key theme to develop and you’ll work together to improve yourself and each other. 9. What happens when the class finishes? When it is time to wrap up the class, instructors will have everyone line up and sit in seiza together. Everyone will participate in a brief meditation and recite the “Showa”. You can learn more about the Showa by clicking here. 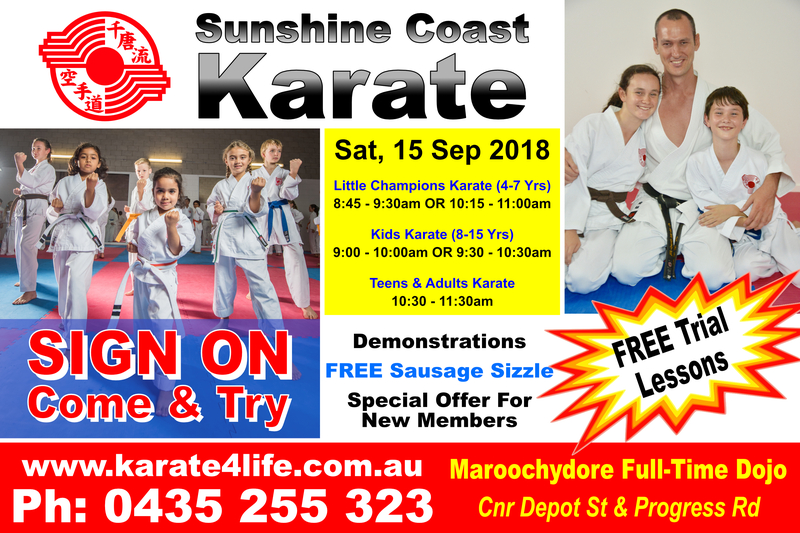 If you’ve have a great time and would like to learn more and join the Sunshine Coast Karate community, be sure to chat with one of our team before you leave after your trial lesson so that they can help you take advantage of any time sensitive offers available to you for being a part of the Sign on Day. If it’s not your thing, we would like to thank you for coming along and having a go. We are always grateful to meet new people and have the opportunity to help more people. Please always feel welcome to return to Sunshine Coast Karate if your circumstances change.